The decision to hire a band manager is one of the most important ones you will make. Managers are usually intimately involved in every decision you make as a band, and they have tremendous power to mold the direction of your career. What you expect your manager to do depends on where you are in your career. 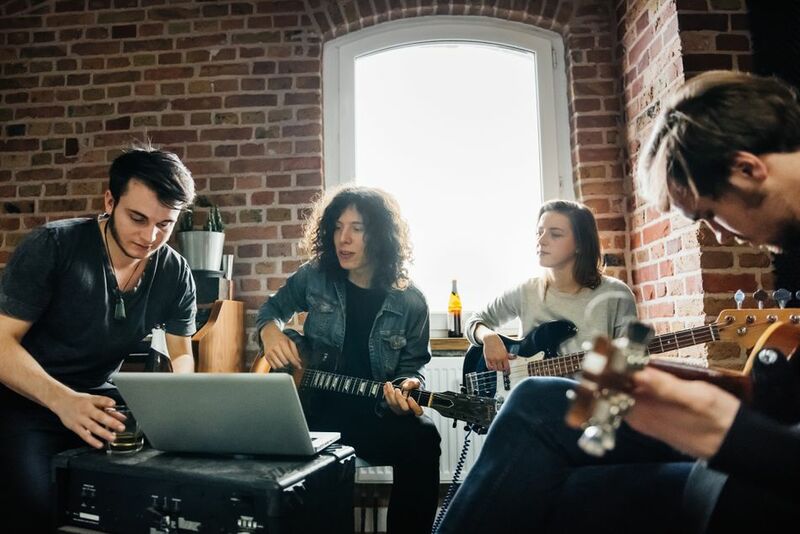 If you're a new band, your manager should be promoting you to labels, trying to get you gigs, and trying to get things off the ground for you. If you're further along, your manager should be making sure other people are doing their jobs to promote your music. Of course, it makes sense to be cautious when you're shopping for management and to do everything you can to make sure you're hiring a manager that shares your professional vision and gets along with you. Keep these questions in mind to help you make a good choice. The answer to this question will net you lots of valuable information. A manager's past clients are usually indicative of the genre of music they know the best. If their past clients have all been country musicians, and you're an indie rock band, this might be a red flag. Even if this potential manager is well-connected, most of their connections might be in a genre of music that doesn't match yours. Plus, when you know who a manager has worked with in the past, you can evaluate that musician's career trajectory. Some managers only work with one act at a time, while others may have a few clients. Finding out who else they're working with now lets you gauge whether they'll have time to focus on you. Who Do You Think Our Audience Is? Does your potential artist manager understand where you're coming from with your music? Hopefully, an answer to this question will not only tell you if the manager "gets" your music, but it will also give you some idea where they envision taking your career. Although you certainly want to feel like a manager understands how you see your music, keep an open mind about the answer to this question. It's one thing to count out someone who is way off base about your music, but one of the best things about having a manager is getting a new perspective on things. If someone identifies an audience or outlet, for your music, you hadn't thought of, that could be a very good sign in a new manager. What Do You Think We Could Accomplish in Six Months? The actual time frame isn't as important here as the discussion that this question will spark. This is where you can find out what a manager thinks they can make happen for you and how they will get it done. You'll get an idea of what kind of contacts they have as well as more insight into the direction they think your music career should take. This question can also help you judge a potential manager's level of enthusiasm, and if it's where the band needs it to be. Some managers work with standard contract agreements. You should never sign a contract you don't understand, and you will want to get any management contract checked out by a lawyer. However, you need to know if there is a standard contract your potential manager uses and how open they are to adapting their standard agreement if parts of it don't apply to your circumstances. If this manager has a standard contract and pressures you to sign it on the spot and without receiving any advice, don't. How Much Do You Want to Be Paid? You need to know what percentage a manager wants and if they are expecting a base salary on top of the percentage. It is also when you will find out which revenue streams your potential manager hopes to be a part of. If you can't agree on the answer to this question, then your management relationship is a no-go. Should You Release a Music Demo or Promo? Are You Ready to Attend a Music Industry Convention? Do I Need to Hire a Music Publicity Company (PR)? Do You Need a Physical Music Release?